Carson is a professional clarinet and saxophone musician, who passed the Sydney youth orchestra’s audition in 2003 under the conductor of Tom Woods. He played many well-known master pieces such as Scheherazade, picture at an exhibition, 1812 overture, the planets and rite of spring. 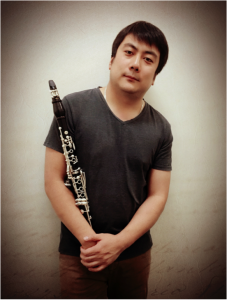 He was a secondary school assistant of clarinet tutor in Australia institute of music since 2003. And he has experience teaching at all age levels, and his lessons are tailored to your individual needs including the musical analyzing and how to improve the techniques, etc.